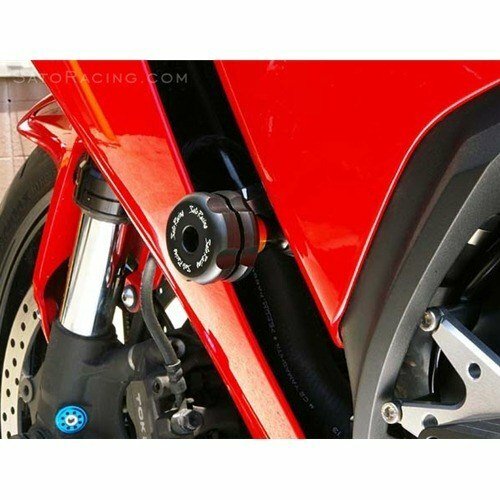 No cut frame sliders for the 2012-2016 CBR 1000RR. Revolver style delrin sliders are attached to billet aluminum mount bases, with high strength chrome-moly mounting bolts. A stainless set screw prevents unintended removal. Removes easily for taking the bodywork on and off, or replacing after damage occurs. Engine sliders also available - sold separately.